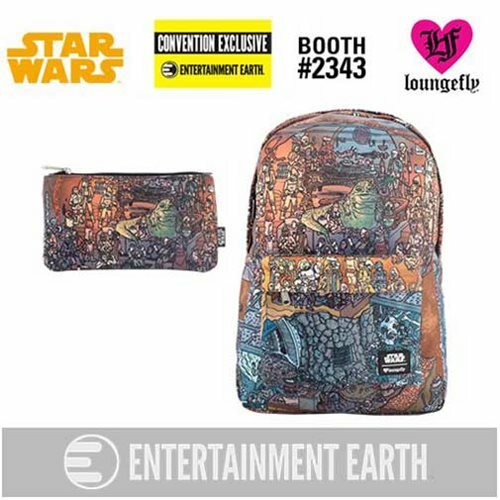 Exclusive set includes a fantastic backpack and matching pencil case! 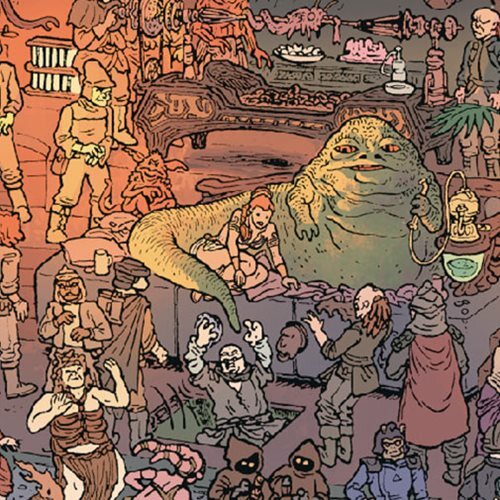 The printed design features well-known Star Wars characters. Backpack sports an interior laptop pocket, an outside pocket, a handle, and straps. The pencil case doubles as a clutch! Entertainment Earth Exclusive! 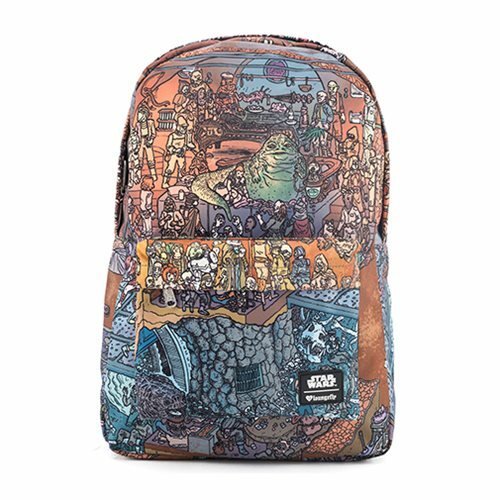 Flaunt your intergalactic style with this fantastic Star Wars Jabba's Palace Print Nylon Backpack and Pencil Case Set - Entertainment Earth Exclusive! 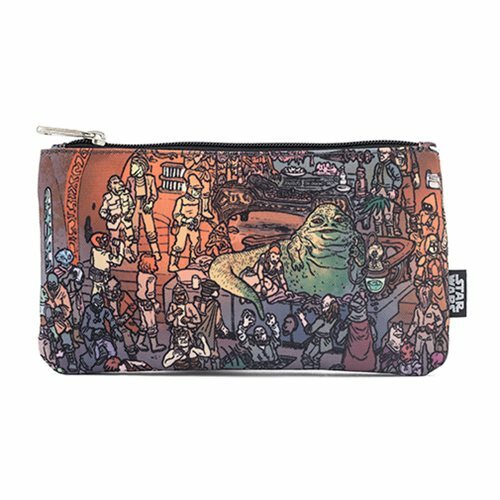 Made of printed nylon, it features a ton of well-known characters in the design, from Jabba the Hutt and Salacious Crumb to Leia and Jawas. Measuring approximately 17 1/2-inches tall x 11 1/2-inches wide x 5-inches deep, the backpack also sports an interior laptop pocket, an outside pocket, a handle, and straps. The pencil case is multi-functional and perfectly sized for holding pens or makeup, or doubling as a clutch! It measures about 8-inches wide x 4-inches tall. 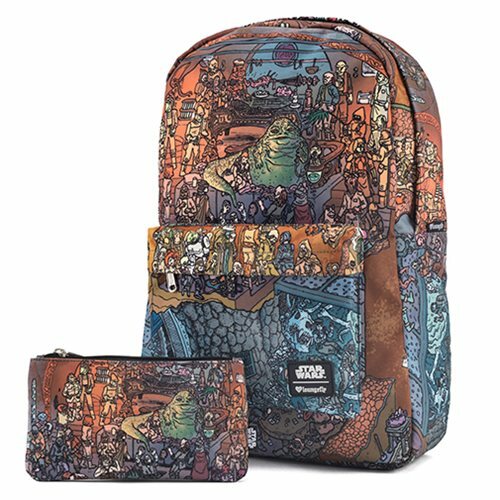 How Many Different Star Wars Aliens and Creatures Can You Spot on This Convention Exclusive Backpack and Pencil Case Set?